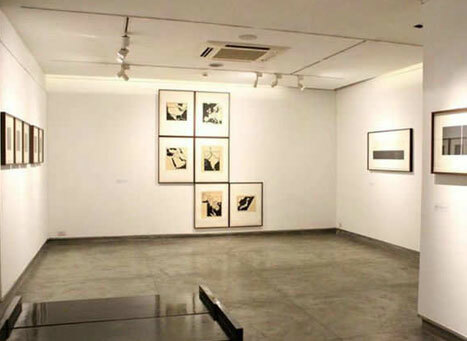 Making its name in the list of galleries in Delhi is this 1989 massive space Gallery Espace. Founded by Renu Modi, this three-floor gallery has been the hub for contemporary artists who believe in giving a refreshed face to the modern life with their out of the box talent. The gallery which began its journey with the exhibition of the famed artist M.F. Husain led its way to joining hands with artists like G R Iranna, Amit Ambalal, Manjunath Kamath, Nilima Sheikh, Ravi Agarwal, Chitra Ganesh, Abir Karmakar, Dilip Chobisa, Chintan Upadhyay, Zarina Hashmi, Waswo X Waswo with R. Vijay, Manisha Gera Baswani, and Samit Das. The gallery is set up in Delhi’s New Friends Colony and witnesses a great number of artists and art lover coming every now and then when it’s time for another great exhibition. What’s one of the most loved things about galleries like Espace is that it gives the artists a huge space to come forth with their talents that speaks the truth about the reality sometimes in a twisted way and sometimes in a way that can be understood in an instant. Furthermore, Gallery Espace has served as the platform for cross-cultural artistic interchange with artists belonging to other South Asian countries. The gallery is also engaged in tie-ups with artists and institutions and also offers business partnerships and scholarships. The gallery has a special section for tribal art by the name of Aadi. Sukhdev Vihar is the nearest metro station to reach Gallery Espace. The metro station falls on the Magenta Line of the Delhi Metro and is around 1.2 km away from the gallery.